Labor Day only comes but once a year. It's a special day in that many Americans are fortunate enough to catch a break from work and enjoy a three day weekend. Hopefully you will be able to relax, lay some steaks out on the grill, maybe watch a parade, and simply enjoy time with friends and family. This Labor Day will be extra special for any of you who are interested in a brand new 2011 Chevy Silverado pickup truck. Or an Avalanche. Or a Tahoe and Suburban as well. It's tough to fit all of those big tough trucks and SUVs into one little sentence. It could collapse into fragments, which is exactly what happened. Not only will you be able to take a break from work (hopefully), you'll also be able to take a break on your wallet (definitely). Chevy has just announced that you will automatically receive an extra $500 off of your truck purchase through Labor Day, and that offer is in addition to the rest of the offers already available. See us for details. Lucky for you, the Uftring Auto Group has not one but two Chevy dealerships in the Peoria area. 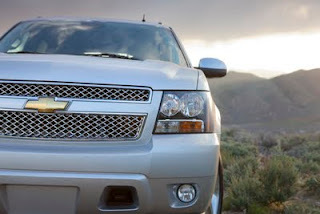 This means an absolutely huge selection of new 2011 Silverado, Suburban, Tahoe and Avalanche trucks. We've got nearly 140 new Silverados to choose from! What could you use a new Chevy truck or SUV for? Whether it's hauling massive loads of firewood, your yacht (ok it's a small fishing boat), or your family, our selection is up to the most challenging tasks. Please visit our Chevy Labor Day Savings pages at Uftring Chevy in Washington and Uftring Weston Chevrolet in Peoria to find out more and to browse our latest selection of trucks. If our huge selection still doesn't do it for you, please call us and tell us what you're looking for. We'd be more than happy to locate it for you. Happy Labor Day!